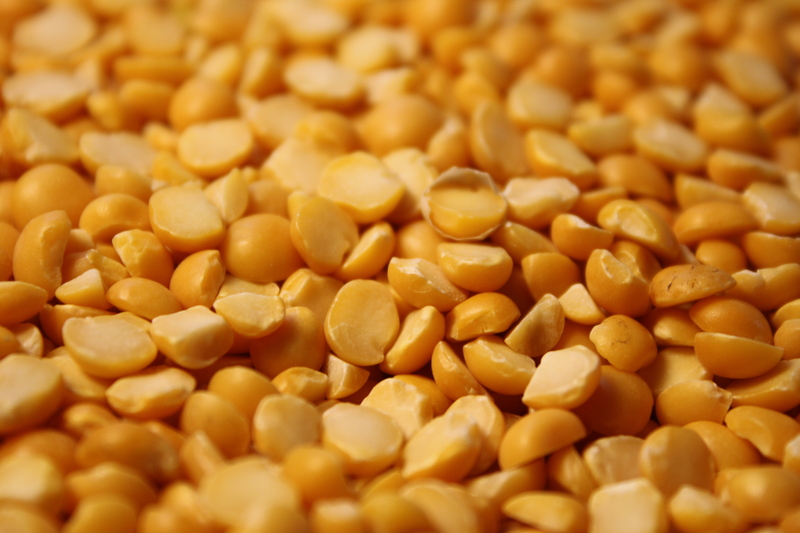 Free high resolution photo of yellow split peas. Split peas are peas that have been dried and hulled. They come in two varieties, green or yellow – this photo shows a close up shot of yellow split peas. They are often used for making split pea soup or, in Indian cuisine for making daal. Free image for any use.